of the Japanese Culinary art (AAJ). 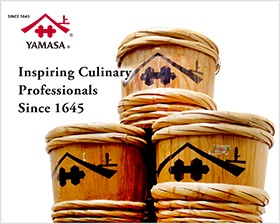 AAJ was founded in 1930, aiming to share professional knowledges such as recipes, skills, creativities and so on amongst high-profiled chefs working for Japanese restaurant. Japanese cuisine is getting popular by the changing of mind for health and anti-aging. 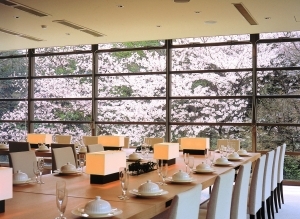 As a result, the number of Japanese restaurant is increasing rapidly. Furthermore, Washoku was designated to the Intangible Cultural Heritage of UNESCO. We think that it’s possible to accelerate a creation of new food and food culture through adopting some essence of authentic Japanese by world professional Japanese chefs and other genres chefs. By all means, we will be a mediator between Japanese cuisine and world professional chefs and we want to contribute your further differenciation and your customer’s satisfaction. We are thinking that it’s possible to accelerate a creation of new food and food culture through adopting some essence of authentic Japanese by world professional Japanese chefs and other genres chefs. By all means, we will be a mediator between Japanese cuisine and world professional chefs and we want to contribute your further differenciation and your customer’s satisfaction.